me to create a very interesting product. FR can be fine-tuned by strategically adding acrylic paste to certain areas of canvas. Sound is surprisingly good, similar to an unfiltered full range driver, which many people like. 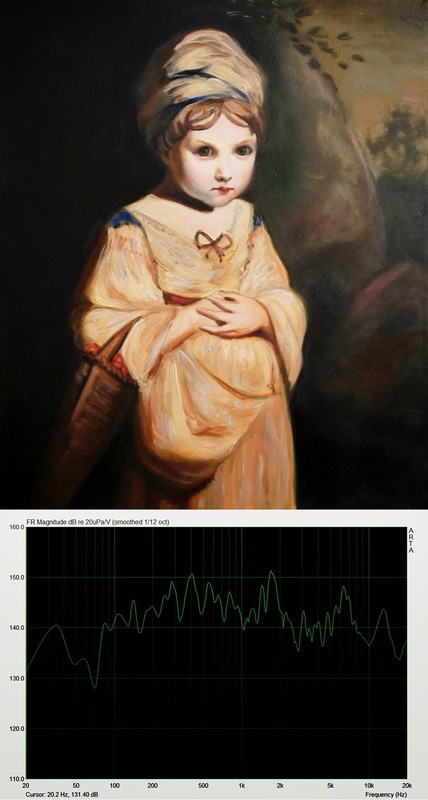 Here is an example of fine sounding painting I made after Joshua Reynold's "Strawberry girl" 20"x24"
Sample FR shows a transducer attached to canvas. Final product's FR will be smoothed out by adding more transducers and acrylic paste. One downside is that painting can not be wall mounted, it has to be set on an easel. I am working on wall-mountable prototypes of boogie-paintings. wall mounted would be awesome. I bought many tactile transducers but haven't done anything with them yet. Wall-mounting greatly degrades sound quality(mid-bass disappears). One company is making wall mounted paintings-speakers, I think they use a lot of equalization to make them listenable. 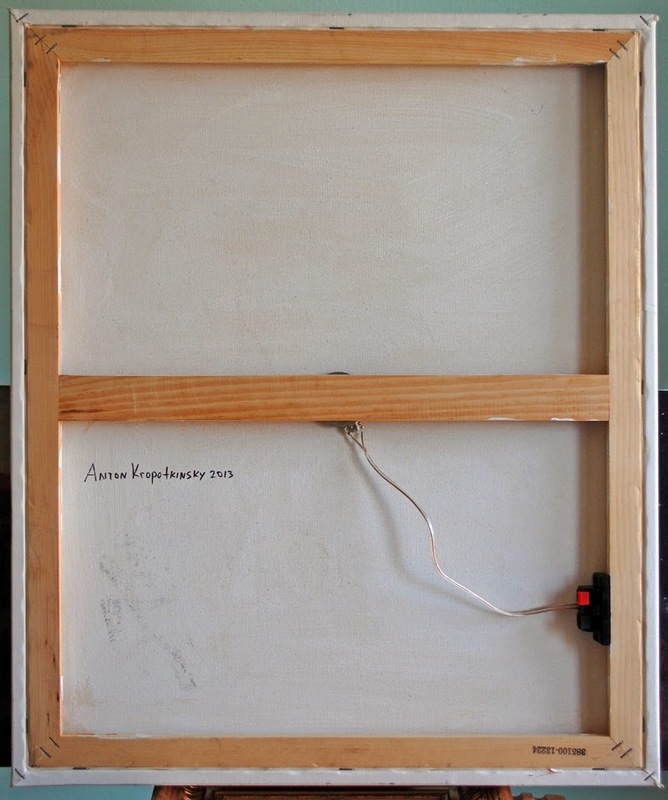 I like simplicity of easel-mounted paintings-speakers.